The World of Quilts Show, beginning in 1979, was the impetus for the formation of the Northern Star Quilters’ Guild. What started as a small show to raffle a quilt and raise money to support the local American Field Service has grown into a large event that helps promote the art of quilting. 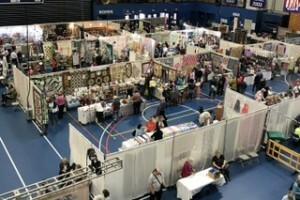 World of Quilts is held the first weekend in May of each year. 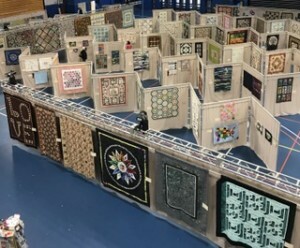 The show typically has on display more than 300 quilts including about 200 registered quilts, a charity raffle quilt, an invitational display by a nationally recognized quilter, and displays by the special interest groups (SIGs) as well as quilts made during the year as part of NSQG activities. Additionally, there are 30+ vendors, demonstrations, and presentations by our keynote speaker. World of Quilts helps NSQG maintain its purpose of promoting interest in and encouraging participation in the art of quilting, while stimulating and coordinating the efforts and talents of individuals interested in quilting. Proceeds from the raffle quilt support a chosen charity, other funds raised support the educational activities of NSQG that in turn help to keep the art of quilting flourishing.